Methodology: Every game gets a roll of the die. Teams with a seed advantage of 15 (i.e. (1) Villanova vs (16) Lafayette) win if the die rolls 1-6. Which is to say all number 1 seeds win their first round game. A seed advantage of 9-14 wins if the die rolls 1-5. A 4-8 seed advantage wins 1-4 on the die. Advantages of 0-3 are fifty-fifty. The overhead seed wins with a die roll of 1-3, the underneath seed wins with 4-6. 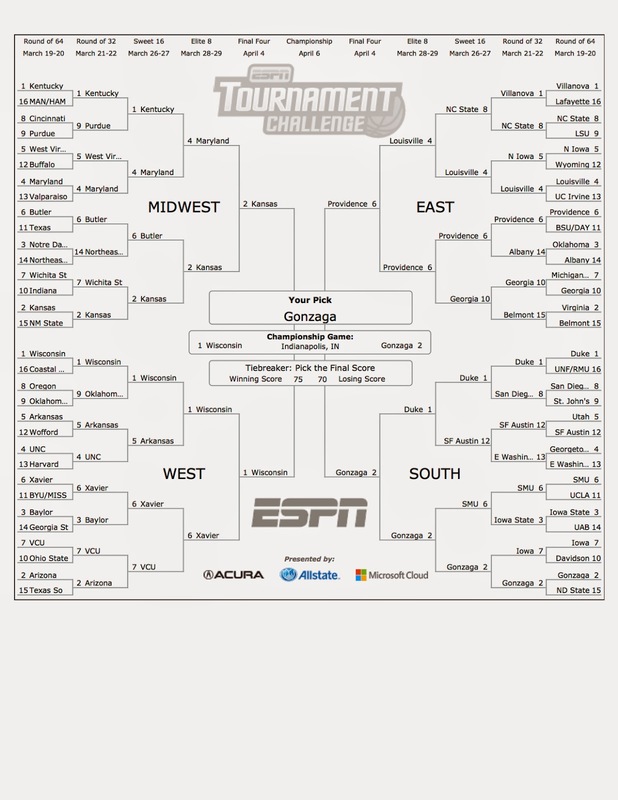 Since I know eff-all nothing about college basketball, this is the best I can do.